Bengaluru along with other parts of interior region have been witnessing on and off rains for last many days. However, any heavy spell have remained far and few. So far in October, Bengaluru has received only 63 mm of rain against the monthly average of 168.3 mm. It is not even half of the average rainfall and we have already entered into the second half of the month. Thus, Bengaluru is still in the category of rain deficit for the month of October. However, a Cyclonic Circulation is seen over Interior Tamil Nadu and adjoining Kerala. Therefore, we expect light to moderate rain with few heavy spells over South Interior Karnataka. Bengaluru also stands a fair chance to get few good spells of rain during the next 2-3 days, i.e. until October 19. Thereafter, as the system gets less marked, rains would reduce and the weather will become almost dry with isolated light rain. Days will be comfortable with maximum temperatures below 30 degree- Celsius, while nights would be cool and comfortable with temperature around 20 degree-Celsius. The Northeast Monsoon has yet not commenced but Bengaluru has begun witnessing intermittent rains. Although, heavy showers have not been experienced till now. As per Skymet, no strong weather system is approaching that could give heavy rains in Bengaluru. Thus, it is hard to say that October will be able to cover up rain deficiency against average rainfall for this month. South interior Karnataka including Bengaluru is one of those meteorological divisions that receives good rains during both the Southwest Monsoon and Northeast Monsoon. As per the records, the rainiest month for Bengaluru is between May and October. The monthly average rainfall during these six months is more than 100 mm. 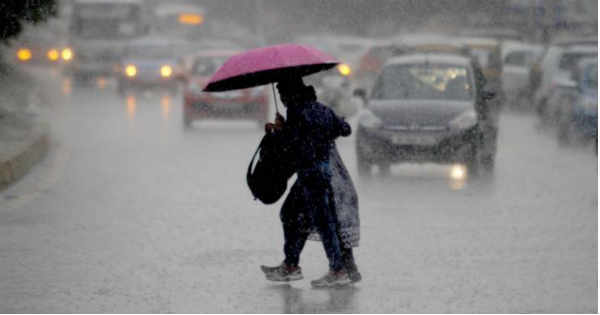 September records highest rainfall for the state capital of Bengaluru, with normal average rainfall of 212.8 mm.